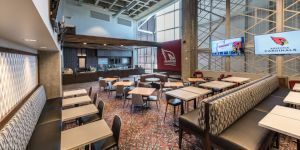 The Club Level is an exclusive area on event days - and can be used on non-event days to accommodate corporate and social events. These newly renovated Club Lounges feature modern technological elements, elegant bars and modern, upscale furniture. Each space is easily accessible from parking lots and is enclosed in glass overlooking the Stadium Floor. 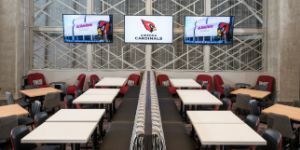 Northwest Lounge, The Bird's Nest and Southwest Lounge can be activated with specialty lounge furniture and added televisions for corporate functions. Southeast Lounge can be transformed into various configurations for a variety of event types. 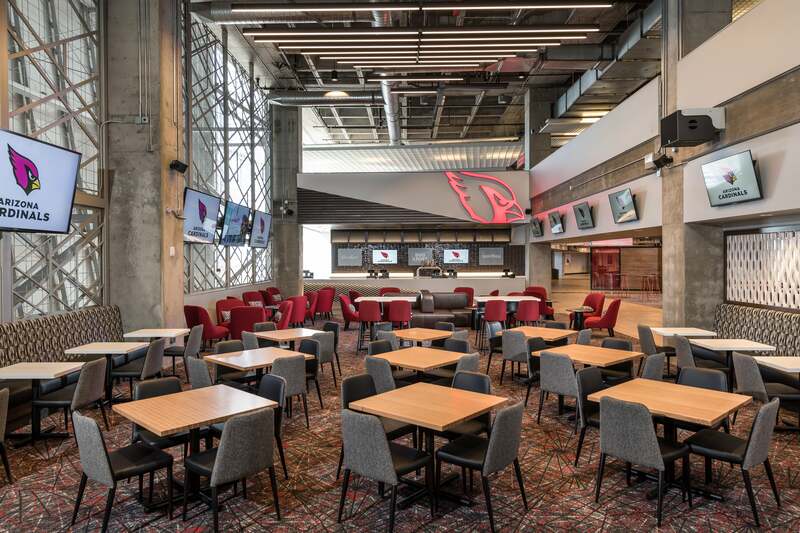 If you are interested in hosting a private social or corporate event in a Club Lounge, request a custom proposal from State Farm Stadium.